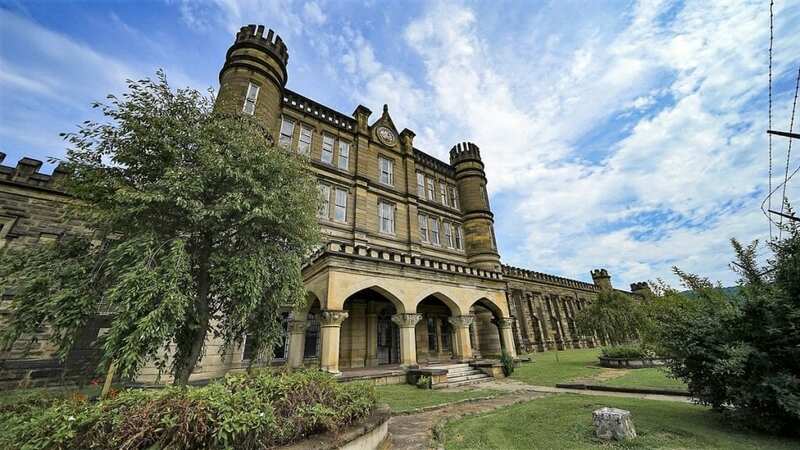 More than 30,000 visitors now tour the old West Virginia Penitentiary at Moundsville every year, and officials say traffic is expected to increase as the landmark enters its 23rd year as a tourist attraction. Suzanne Park, executive director of the Moundsville Economic Development Council, says expanding media coverage and a concerted effort to market the region have worked to sustain the traffic. “Our business increased probably by 2,000 people a year just in the past couple of years,” Park said Wednesday while preparing for the launch of the 2019 tour season on March 29. Along with the adjacent Grave Creek Mound and nearby Grand Vue Park and the Palace of Gold, Park said the penitentiary is attracting a significant audience to the upper Ohio Valley. Council president Gary Crippen says that the last 23 years have been a lesson in perseverance. “When we began this project, we had no idea what to expect, what to do, or how we would survive,” Crippen said. Retired as a correctional facility in 1995, Crippen and others have worked tirelessly to sustain the complex, infamous for its association with many blood-thirsty felons, including Harry Powers, the world’s first recognized serial killer. Park said the staff is working with the Greater Moundsville Convention and Visitors Bureau to market the area through regional travel shows, during which members invited more than 20,000 people to Marshall County. The bureau’s executive director, Craig White, said the former prison is now one of the most recognized landmarks in West Virginia, and its visibility is now extending throughout the region. “The first year we did these shows, it was amazing how many people have never heard of Moundsville, but they recognize the prison,” White said. White said the penitentiary remains absolutely vital to the local economy. “With every dollar spent on a tourism activity, visitors will spend $3.20 in the local economy. That is huge,” he said. “We have a web-based program that captures public pictures, posts, and videos taken in Marshall County. We share some of the nearly 40,000 pictures on our CVB website, and they are absolutely amazing. Probably 25,000 of those pictures are taken at the Penitentiary and Mound attractions,” he said. Guided day tours of the penitentiary are conducted April through November, and several different paranormal tour packages are offered in the evenings. The complex also supports a continuous calendar of events and its facilities welcome groups and gatherings. Find out more at West Virginia Penitentiary.